First I wanna say this is just a guide, I'm not responsible if you attempt this job and eff it up. ANY JOB suspension wise you should know what your doing and the risks involved. This is how I would do it, not necesarilly the right way so keep this in mind while doing it. This guide does not require you to have air tools to complete the job, though they do help. That being said, on with the DIY. 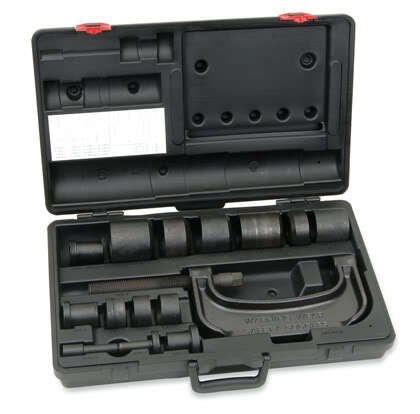 A ratchet set including 10mm, 17mm, 19mm, and 22mm ratchets. Some extensions will be necessary for your ratchets. A good set of needlenose pliers, mine had a nice bend in them. An impact gun helps but is not necessary, obviously a compressor too. latex gloves help keep your hands clean. Most importantly: A Ball joint press tool I'm showing this twice because you NEED it if your doing this at home. Okay, let's have some fun. 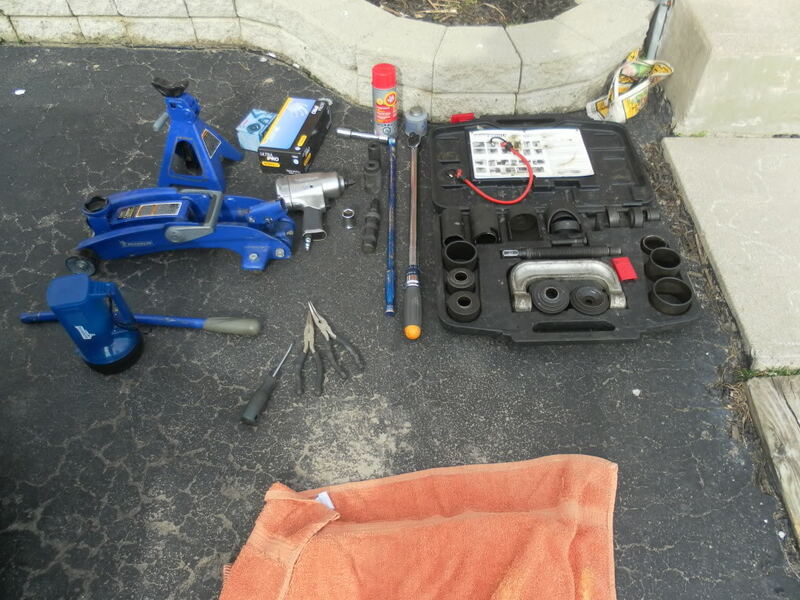 I'm going to deviate from the service manual right away because I'm assuming you don't have access to air tools. 1. 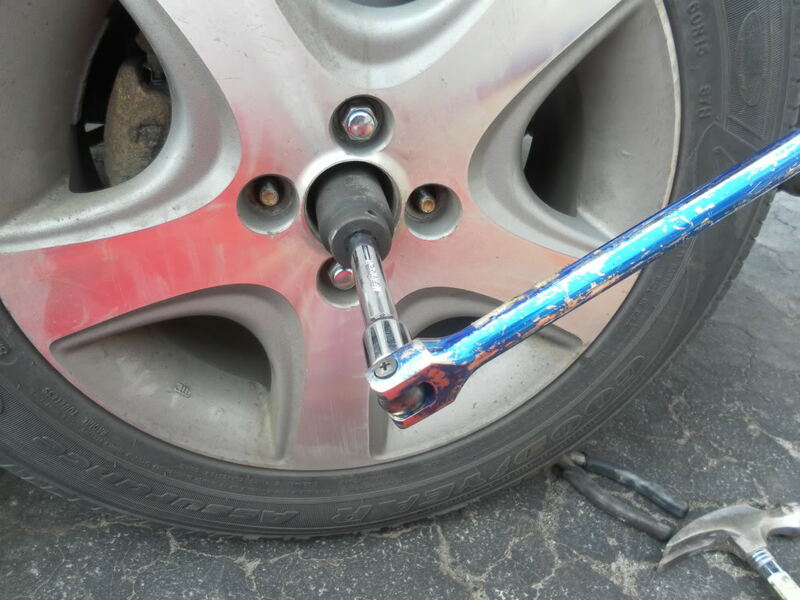 Loosen your lug nuts, jack up the car safely and remove the tire. Knock the centercap out from the inside of the rim. 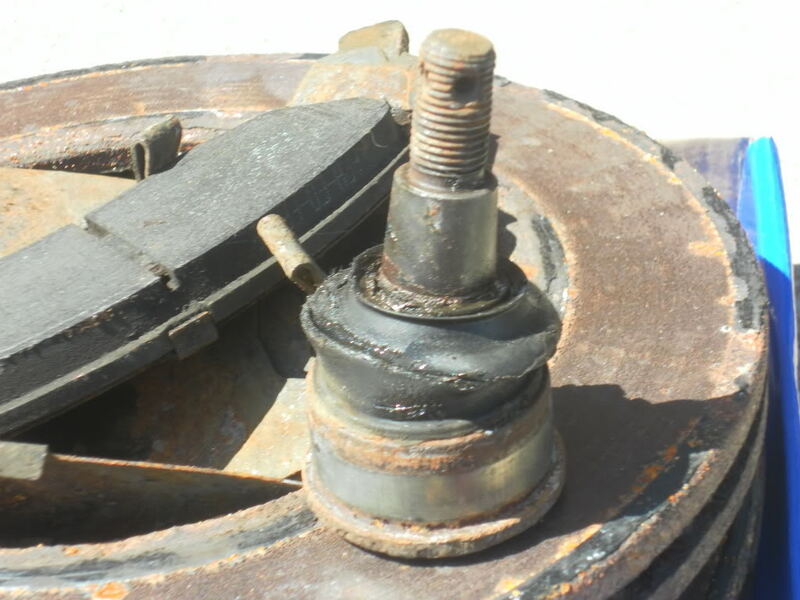 You can pry the centercap off with the wheel on the ground but you risk damaging it. There is almost no way to damage it if you knock it off from the inside. 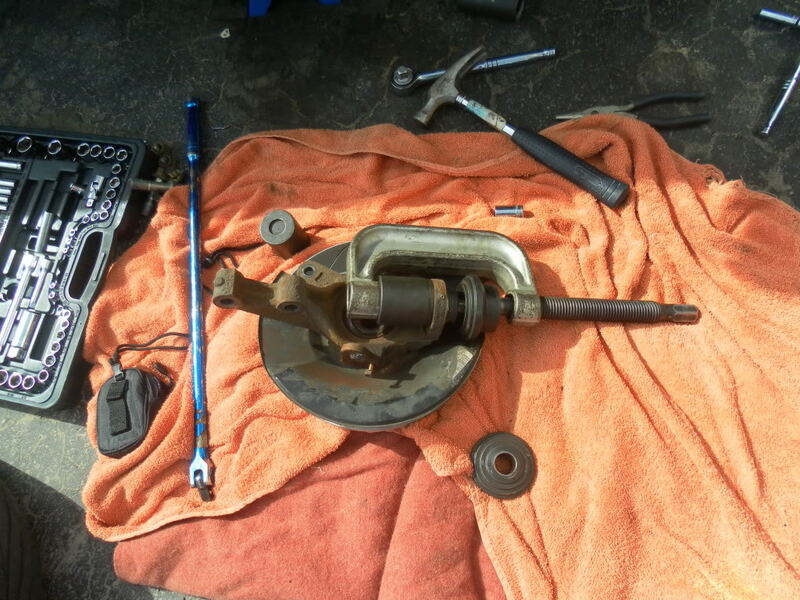 After the centercap is knocked out, use your flathead screwdriver and carefully pry the notch out of the axle nut. Be careful doing this I broke two screwdrivers. 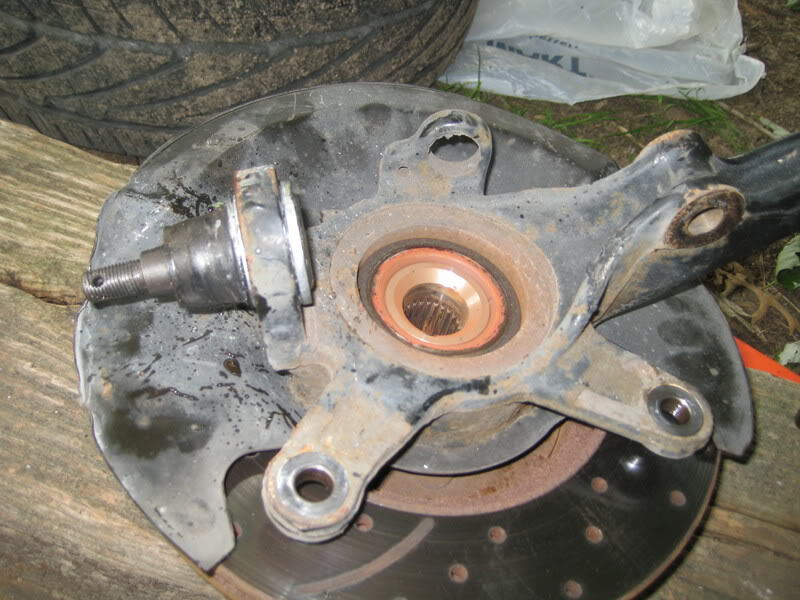 Here is a picture of the axle nut. 6. Now you have to remove the cotter pin off the 17mm castle nut. You can cut it off or pry it straight with plyers and pull it out. 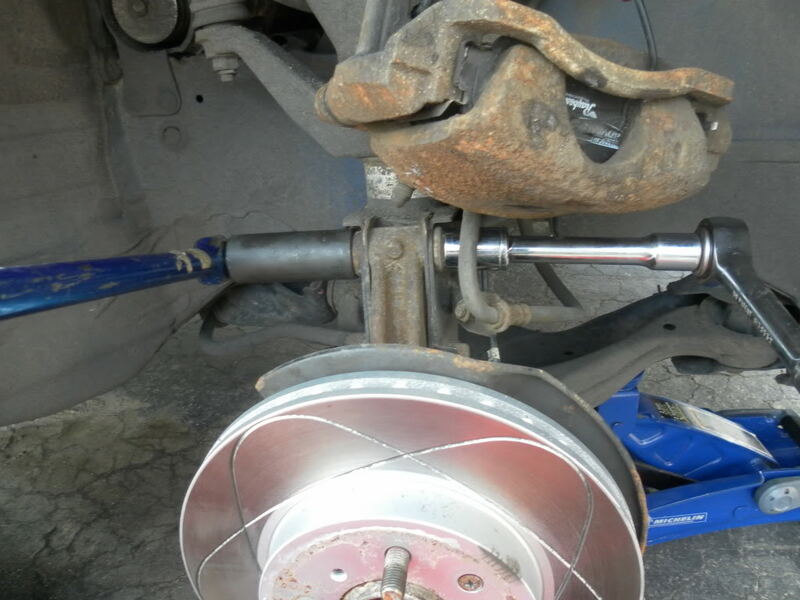 Even if you manage to "Save" the cotter pin, use a new one. It should have come with the ball joint anyway. Here is a picture of the castle nut before and after removal. 8. 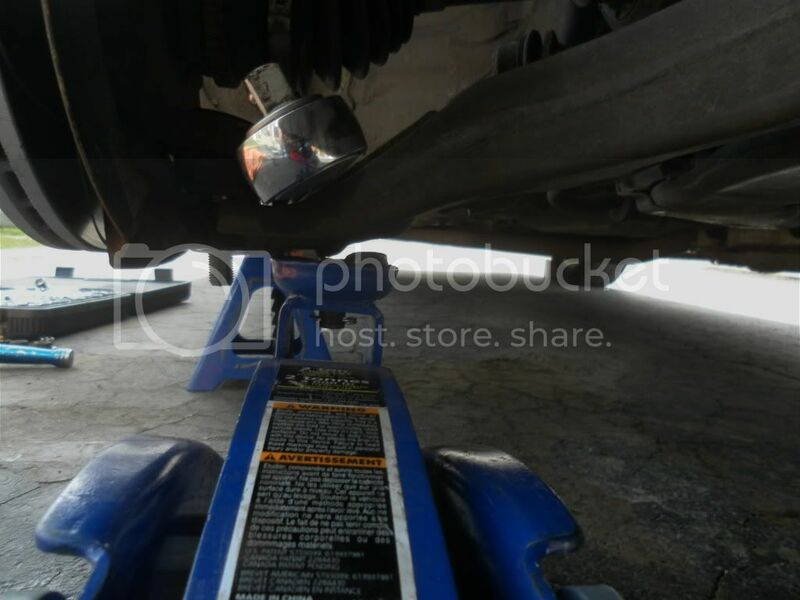 Fit the ratchet inbetween the LCA and knuckle. 10. Now you can use a hammer to drive the axle (spindle) back into the knuckle, you can use a regular hammer as long as you don't smash on it. You really shouldn't have to hit it very hard. 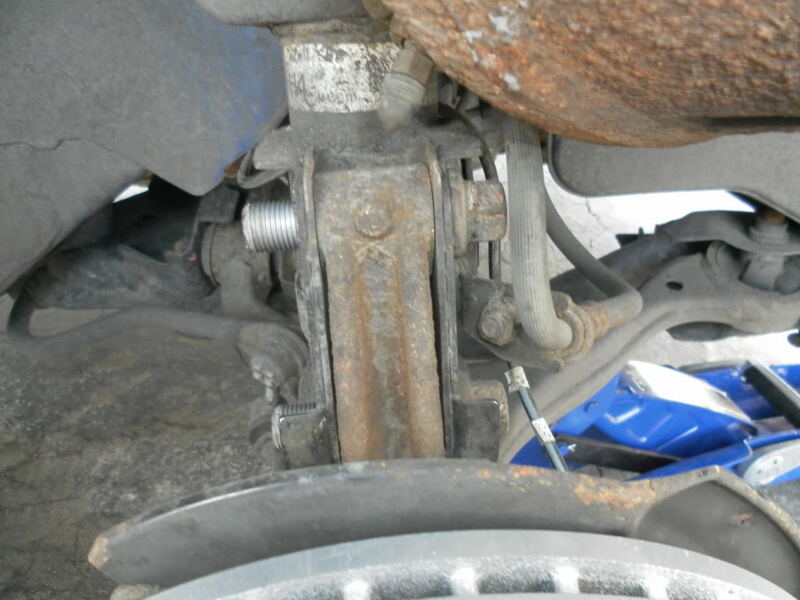 If you cant get the axle fully out from behind you can get it when you remove the last two bolts off the knuckle. 11. 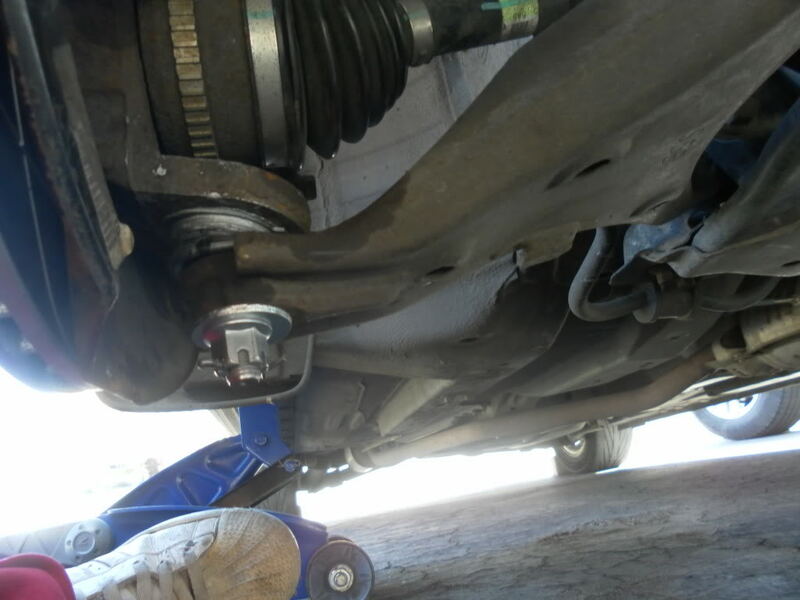 Great, the hard part is done, now you can remove the two bolts from the strut assembly. 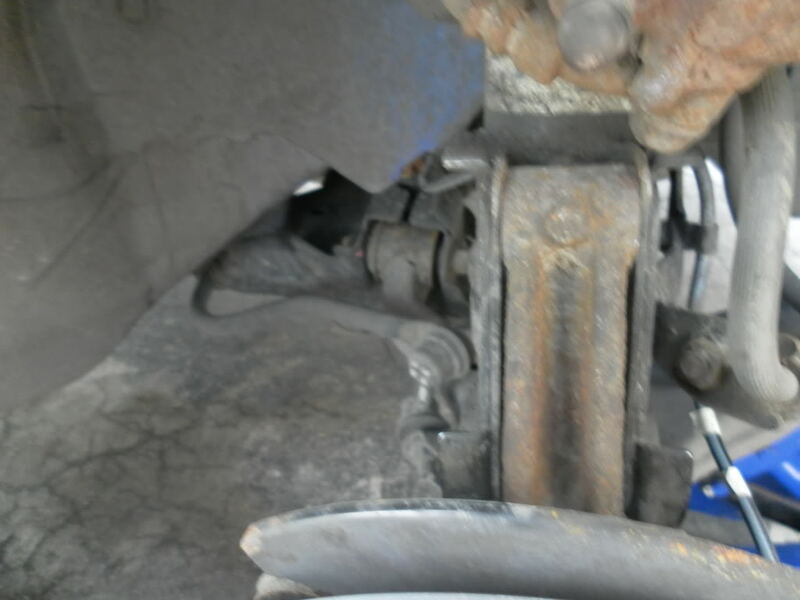 Sorry this picture is a little bit fuzzy but its basically the two bolts that you removed the nuts from earlier. You can tap them with a hammer to get them out. Just don't go buck wild and mess up your threads. 12. 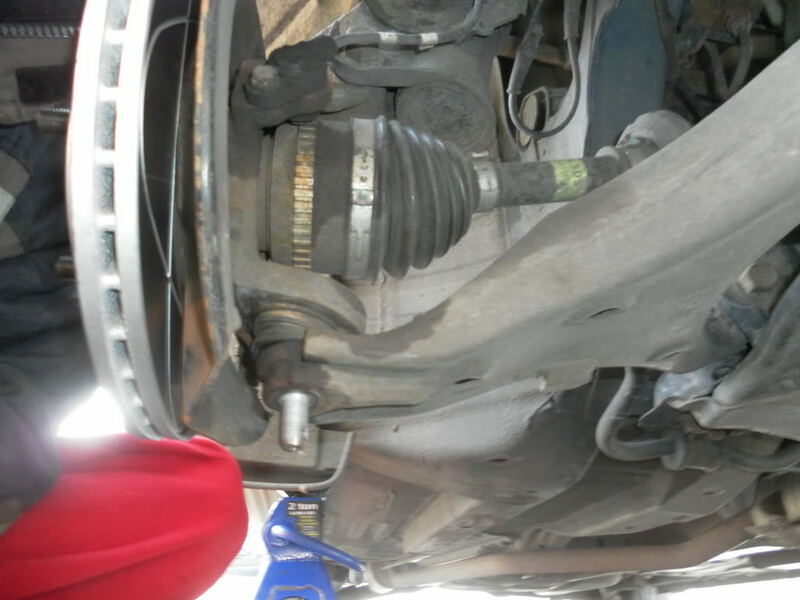 The knuckle will want to come out easilly, but you might have to hammer the lower ball joint upwards a little bit to actually remove it from the car. This is where a second person comes in handy, but it can be done by one person. 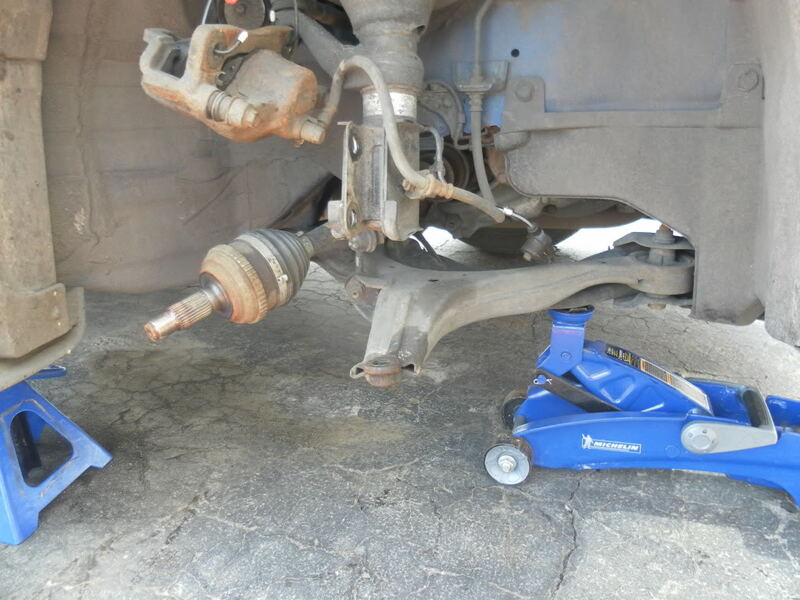 So your kinda doing three things at once here, making sure the axle is fully clear of the knuckle, making sure the balljoint is coming out of the lower control arm nicely, and balancing the knuckle to make sure when it comes free you don't drop it. Great, now the knuickle should be out of the car. 19. 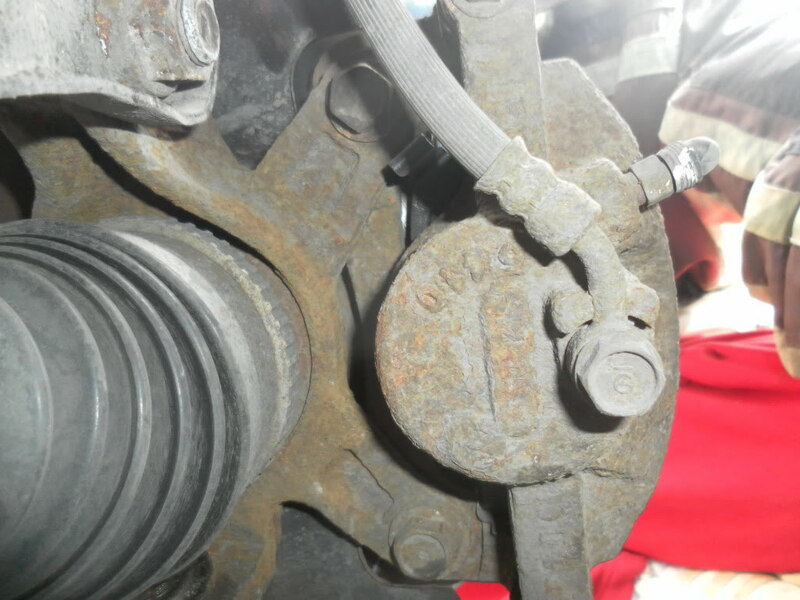 Lube the hole where the vehicle speed sensor goes with anti seize paste and torque the 10mm bolt to 7.2ft/lbs. 21. 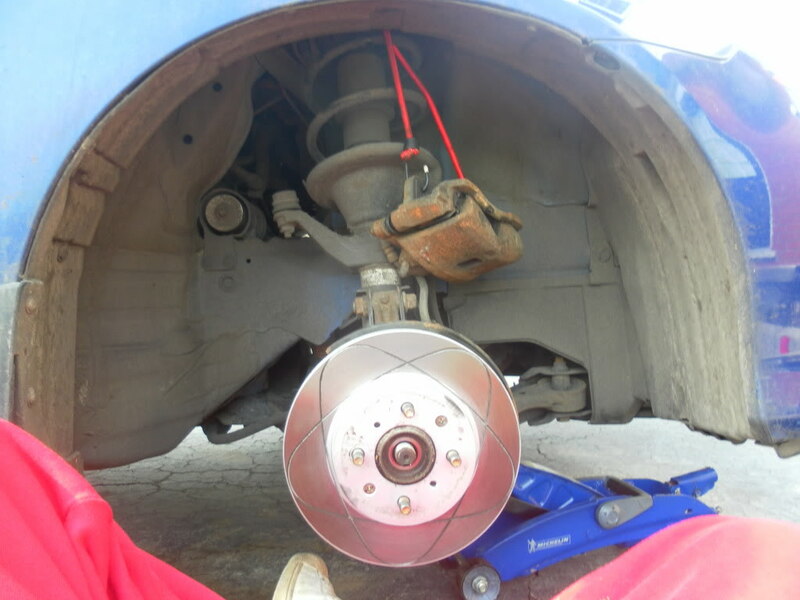 Now to reinstall the caliper. 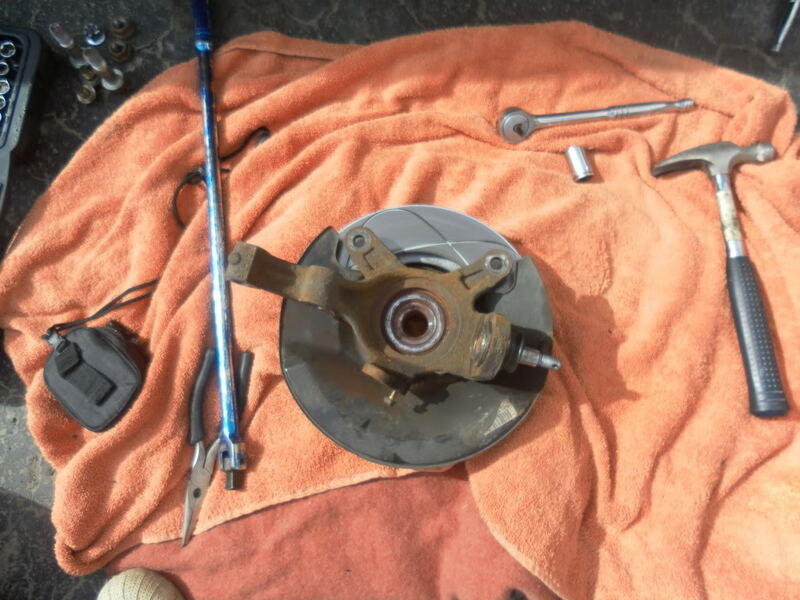 Just carefully slide the caliper onto the rotor and install (after anti seizing) the two 17mm bolts on the back and torque them to 80ft/lbs. 23. Now you can torque your wheels back on to 80ft/lbs, install your centercap and call it a day. Thanks. Sledge works too just need to be careful I've heard of people use air hammers if the tool doesnt work too. Air tools are awesome... 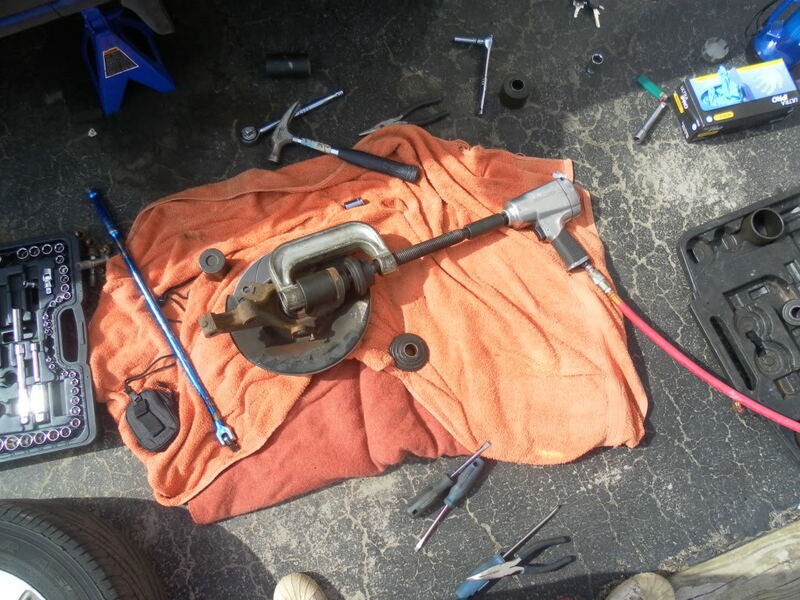 I have access to limited air tools myself but it helps a lot to have them The impact wrench makes this a lot easier with the C clamp, especially if no anti-seize was installed on the balljoint or it's been in there for a long time. My only concern is the washers on the bottom. 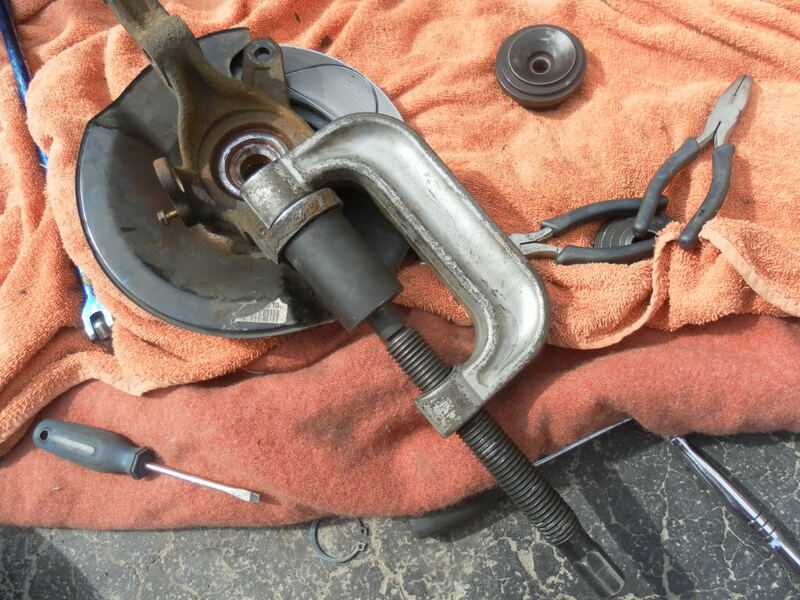 What I seen done before is to re-drill the cotter pin hole higher up on the ball joint threaded shaft, use another castle nut or re-used the OEM castle nut which usually is taller than the replacement. Hmm... I'd rather add a washer than sacrifice the strength of the bolt. I'm not an engineer so I'm not going to go drilling into structural parts. That being said I know the washer isn't ideal. I just go and check it every couple of days for a while until the nut starts to seize on. A mechanic shop saying that it is OK means nothing. That nut is to be fastened directly to the knuckle with no washer/washers in between. 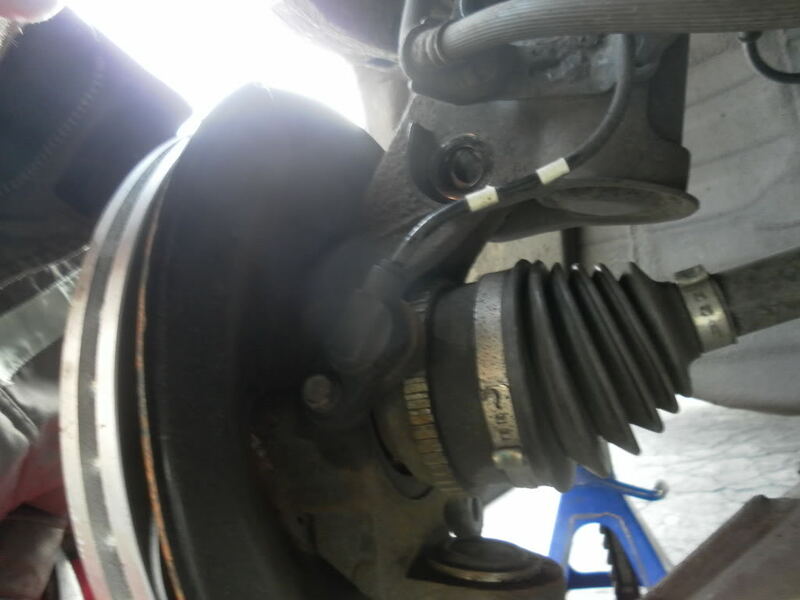 Drilling the end of the threaded stud of the ball joint is after the fastening /torque contact point of the nut to the knuckle. 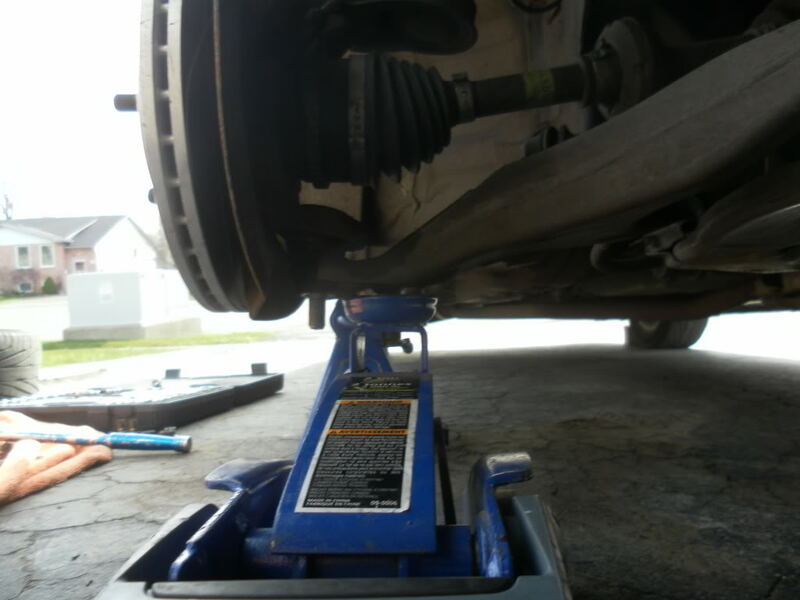 It does not affect the properties of the ball joint/ locking nut combo. 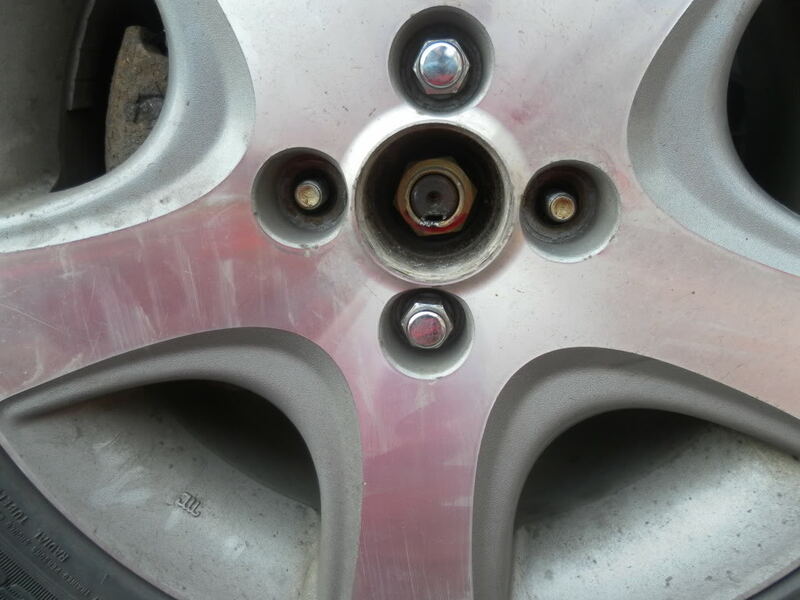 Putting washer between the nut and the knuckle is at the point where the nut tightens and is to be torqued to the knuckle. You are at the contact point of the assembly where it matters the most. Anyway, it is your vehicle so if you feel comfortable and safe with it like that, so be it. 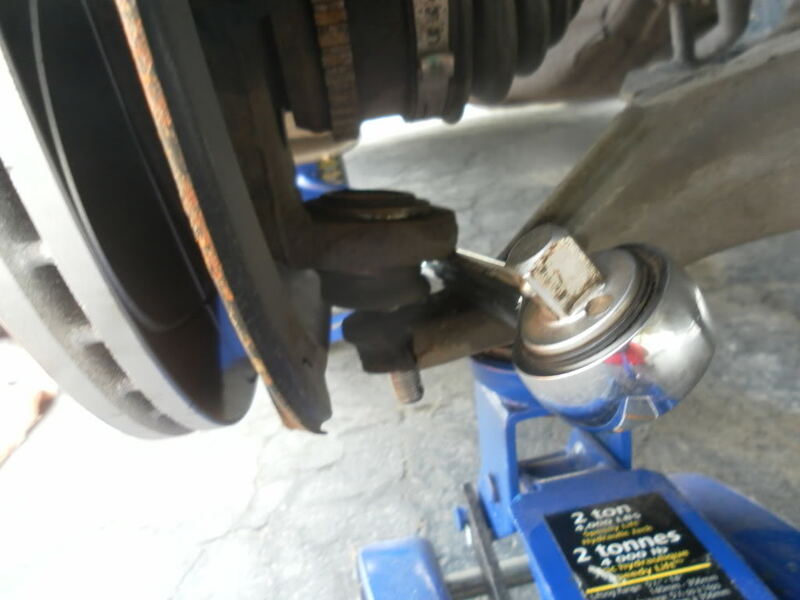 Having the washer under the nut is not a big deal, but usually new balljoints come with new castlenuts. 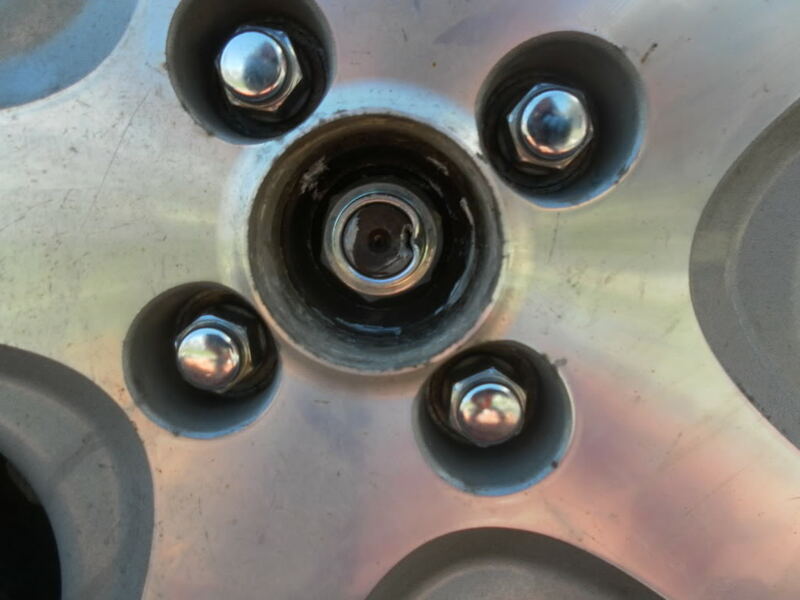 Moreover drilling holes in balljoint seems like you can just damage the thread and potentially end up cross threading the stud when trying to tighten the nut. Op try going to a part store and finding a taller castle nut. I think I even got few laying around my place if you want it. 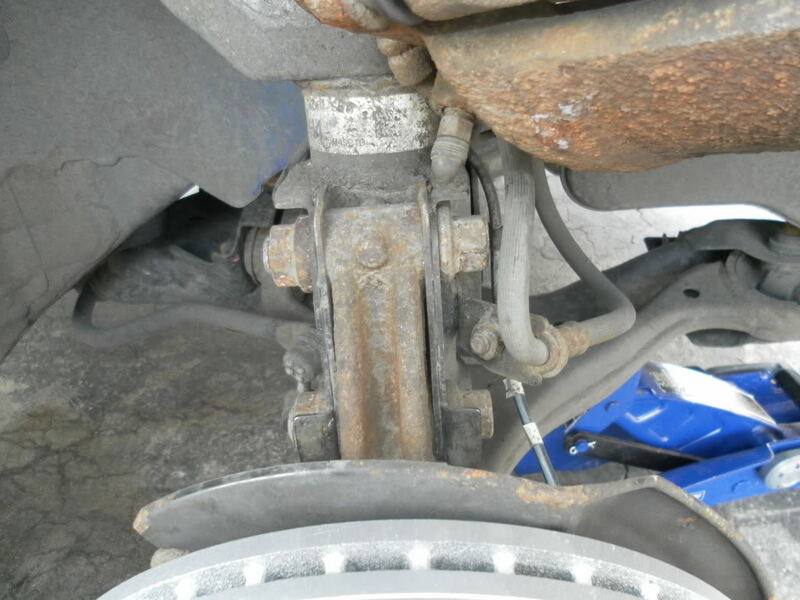 where to buy replacement ball joint for skunk2 camber kit?